Some people simply prefer libraries to study but they always resent being unable to eat and drink inside, at coffee shops, on the other hand, students are deprived of the encouraging atmosphere generated by being surrounded by books while studying. 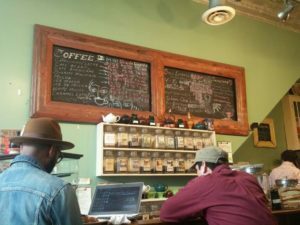 For those looking to combine the qualities of a library and a coffee shop, Sankofa, as both a bookstore and a cafe, is certainly there to check out. 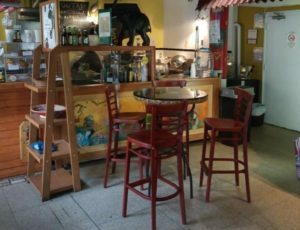 Amazing food and coffee, internet connection, convenient tables and power outlets… Just a perfect gem on 2714 Georgia Avenue near Howard University. Open all days from 09:00 a.m. to late evening. Three chairs and a table at Sankofa Video, Books & Cafe. Photo: Yelp / Nellie F.
Plenty of tables, both inside and on the patio, power outlets and a free internet service on top of some of the best sandwiches and coffee you could find in all of D.C. are what Heat Da Spot delivers to our list. It is also hard to match the friendliness of the owner and the staff, just complementing the home feel of the cozy place. Five stars on Yelp will, by no means, be a surprise after your first visit to this Ethiopian diner. On 3213 Georgia Avenue, Heat Da Spot is open all days of the week. An inside view of Heat Da Spot with a group of customers. Photo: Vidhika B. 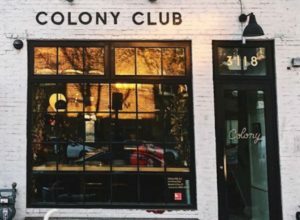 In the same neighborhood as Heat Da Spot, Colony Club stands out with a significantly more spacious area, both in and outdoors. The owner has furnished the place to accomodate students of all ages, with many large tables and outlets available for those looking to study. 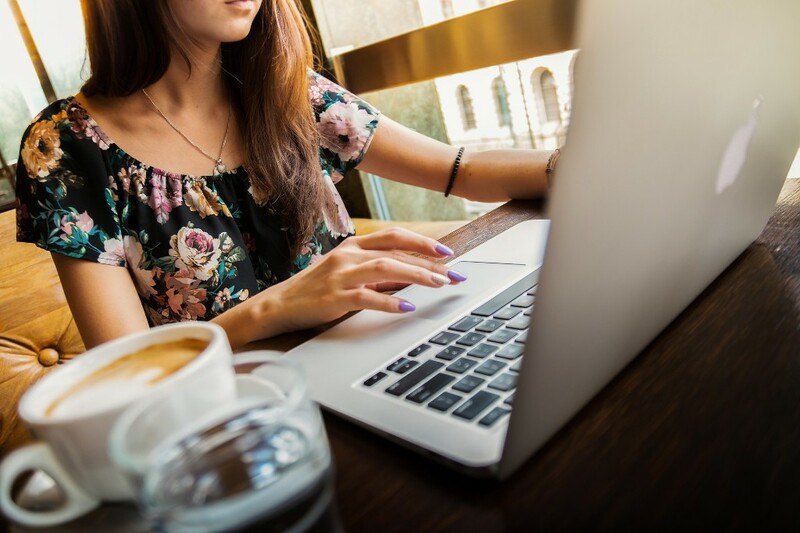 The availability of a free and strong Wi-Fi connection makes it just easier to benefit from multiple resources while doing that. And when you feel like taking a short break from your material, the ping pong table upstairs could offer a rather joyful one. Besides, there is no chance you would regret the food or coffee you would be served here. Just make sure you drop by before noon on Fridays and Saturdays when it closes at 12:00 a.m.
Granted, this is not as big as the Colony Club but offers just the calm environment you would need while studying. Plus, their freshly baked pastries and coffee are simply something to return to, not to mention the convenient patio, which would probably be better for studying since Spring is just around the corner now. 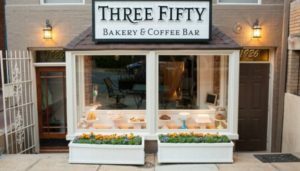 On 1926 17th Street, Three Fifty Bakery and Coffee Bar opens as early as 7:00 a.m. all work days and serves till 7:00 p.m. 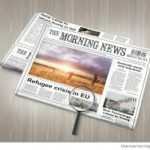 The working hours are slightly shorter on weekends. When the word ‘coffee’ is pronounced, there are only a few countries to be automatically remembered by most people and Ethiopia is certainly one of them. Originally hailing from the Eastern African country, the owner of Sidamo has done but all to make this place nearly perfect for those willing to study. 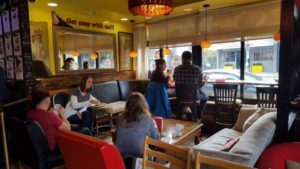 In walking distance from the Union Station, this cozy coffee shop, too, offers its customers a fine Wi-Fi connection. Just remember to ask for the credentials at the register. And you better arrive sooner than later in the day in order not to be disappointed seeing a packed room inside. Little courtyard in the back, though, might still be a lifesaver.